Michael L. Habryl, D.O. is a licensed, board certified ophthalmologist at Alpine Eye Care. Surgically, he specializes in micro- incision cataract surgery with a wide variety of lens implant options. He also has surgical options available for glaucoma in combination of cataract surgery (see iStent and/or ECP video listed below). Dr. Habryl performs many cataract surgeries yearly, averaging 800 to 1,000 surgical cases annually by using state of the art technique with the newest technology available. (Watch videos below to learn more). To learn more about your Intraocular Lens (IOLs) options during cataract surgery, please click here. Dr. Habryl’s training allows him to diagnose and treat a wide variety of other eye conditions such as: glaucoma, ocular hypertension, floaters, macular degeneration, diabetic retinopathy, dry eyes, eyelid lesions and ocular infections. He performs many in-office procedures including lasers for a variety of conditions and retinal injections for conditions with swelling of the retina. 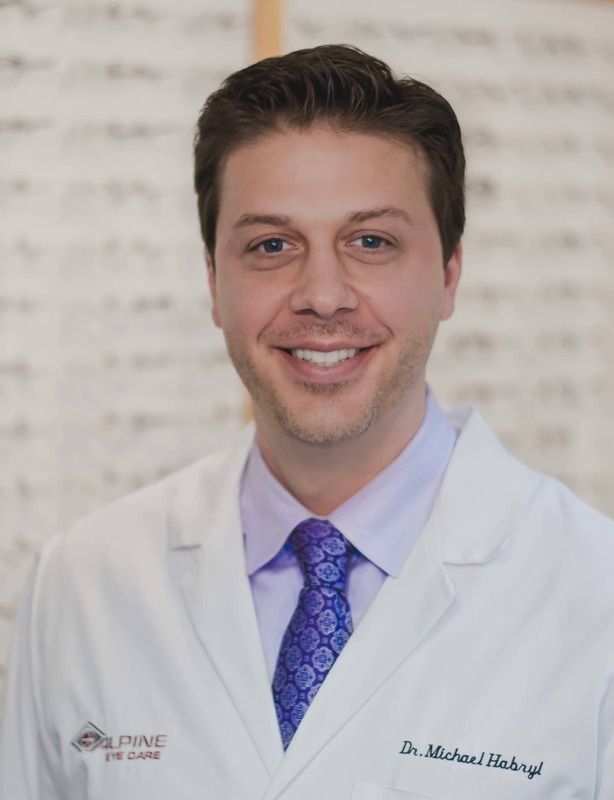 Dr. Habryl completed his ophthalmology residency through Michigan State at Hillsdale Community Health Center, and medical school training at Chicago College of Osteopathic Medicine. He was raised in Gaylord, Michigan, and is proud to have returned and now provide patients in Northern Michigan with the newest advancements in eye care. Dr. Habryl has quickly earned a well respected reputation in the ophthalmic profession.